I feel pretty confident in my bread making abilities. 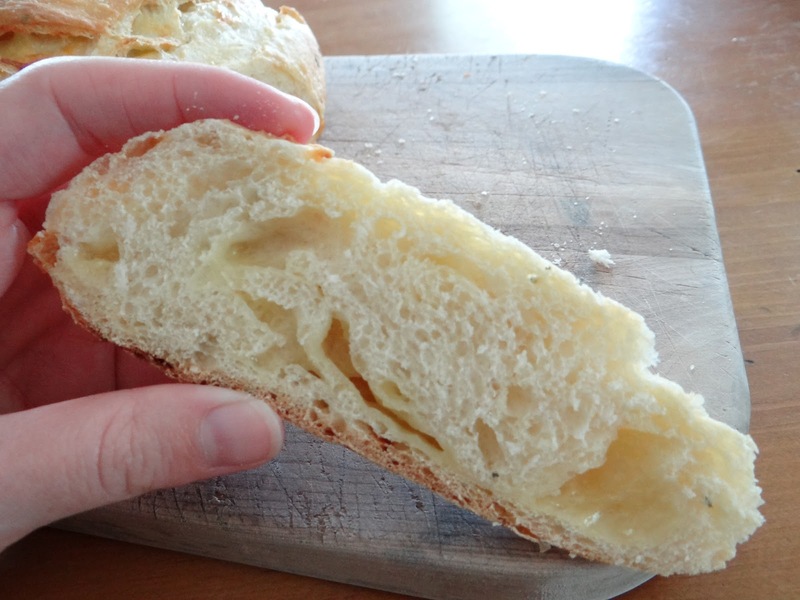 People tend to like bread I bake, and I accept their praise, because it took a few years to get the hang of it and I do feel like I’ve earned it. But sometimes a bread recipe comes along that is just so amazing that I don’t feel like I had a hand in what made it so great. The ingredients and technique are so awesome on their own that my part was really just to get them from potential to realization. This is one of those recipes. It’s by the always fantastic Peter Reinhart, whose books I simply adore. 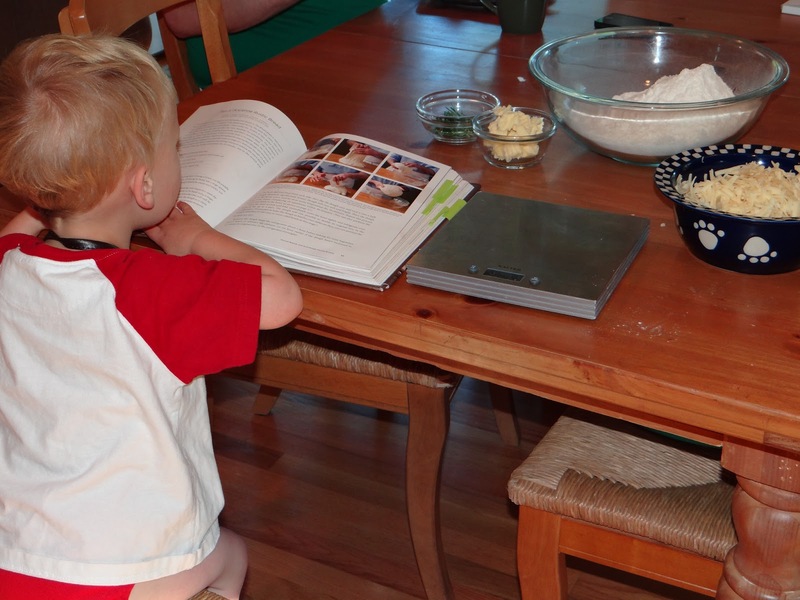 Step 1: Get your hands on a copy of Artisan Breads Every Day. Just kidding. But you really should. Ok, depending on whether you have an hour beforehand to make buttermilk, you will either need 1 cup plus two tablespoons of milk and a tablespoon of white vinegar, or you can just buy the buttermilk. If you have the choice, I would say to try making the buttermilk because store-bought is always low fat, and by making your own you can use full-fat milk and your bread will be softer and more delicious. Just a thought. Once you add the white vinegar to the milk, keep it in the refrigerator for an hour. It will develop a clumpy consistency. 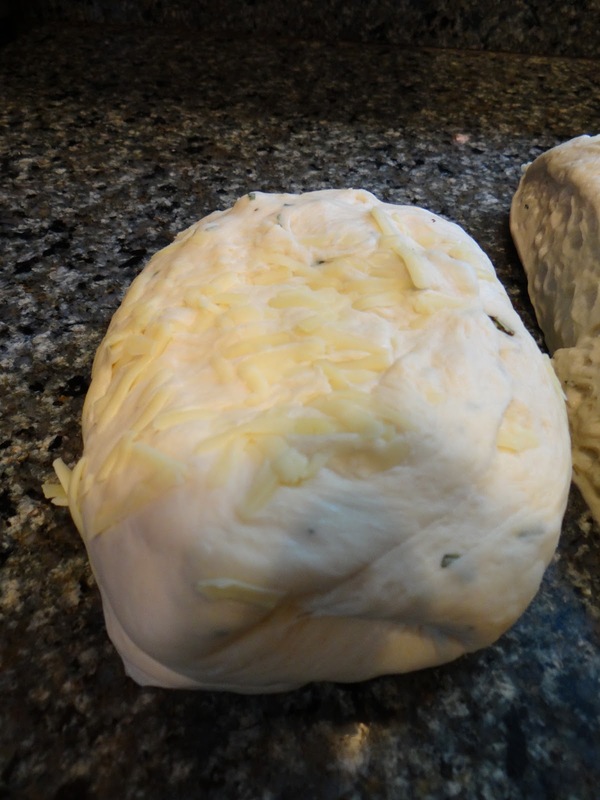 I used Peter Reinhart’s soft cheese bread recipe, which calls for onions or chives but I substituted rosemary because I woke up yesterday morning with a craving for rosemary bread. It was awesome. 1. Whisk the flour and salt together in a large mixing bowl. 2. 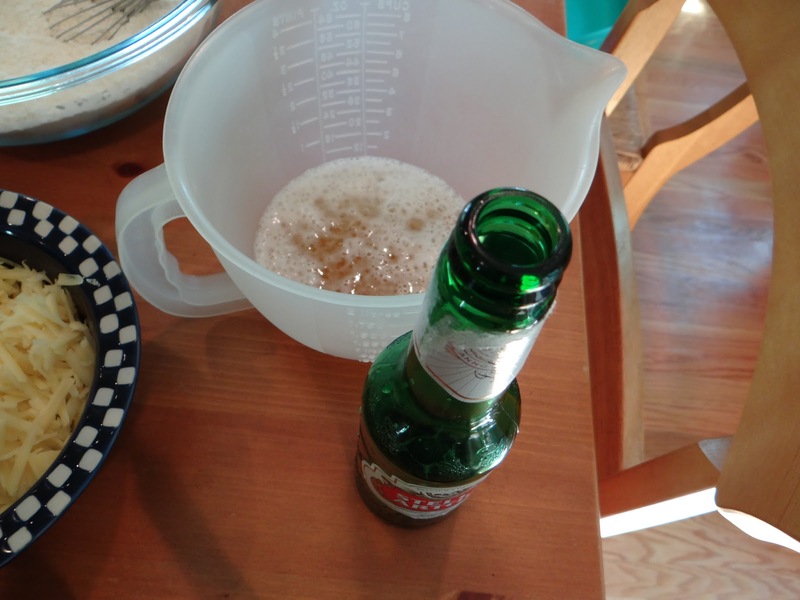 Combine the beer, buttermilk and honey in a measuring cup then sprinkle the yeast on top. 3. 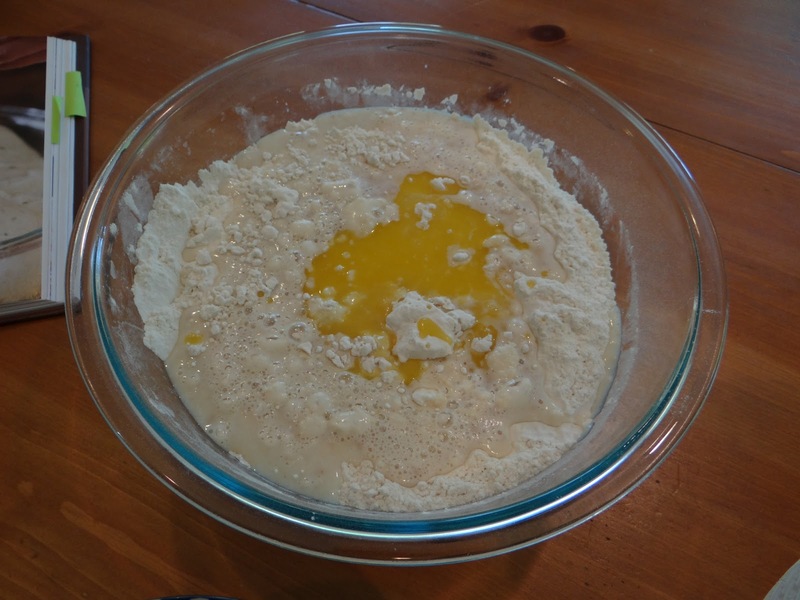 Add the liquid mixture to the flour mixture and toss in the melted butter as well. 4. Using a large spoon, mix to combine the ingredients. When you can’t easily use the spoon anymore, ditch it and mix with your hands instead (make sure they are clean). 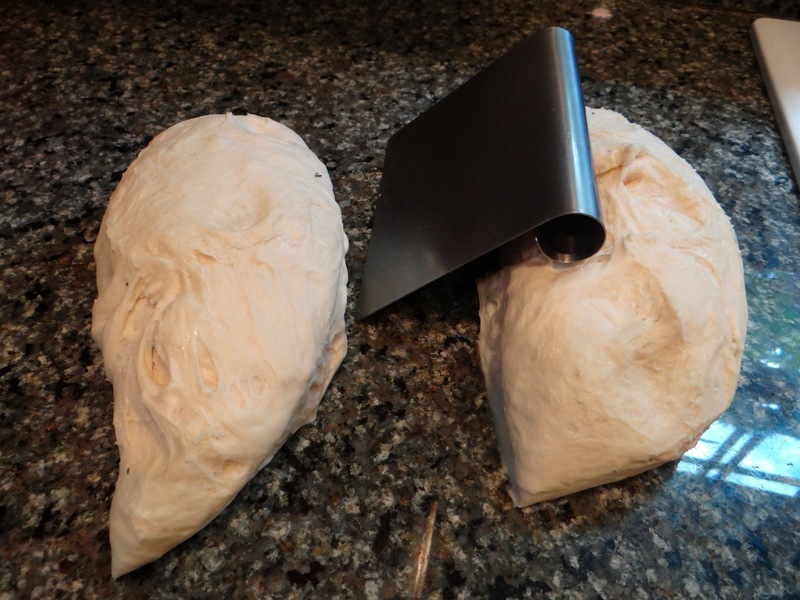 Use a folding technique where you scoop one side from underneath and fold it over the top of the dough. Almost like you’re folding a shirt or something. 5. 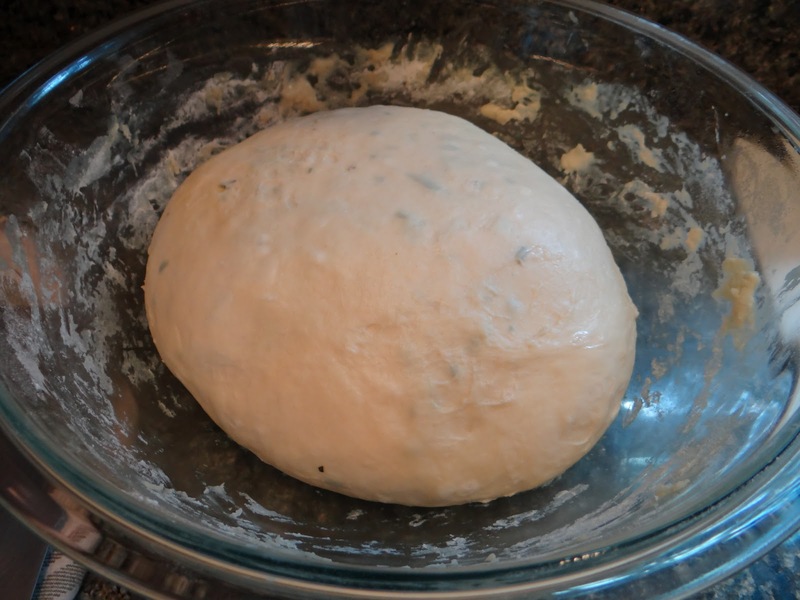 Let the dough sit for ten minutes to rest, then sprinkle the rosemary on top. 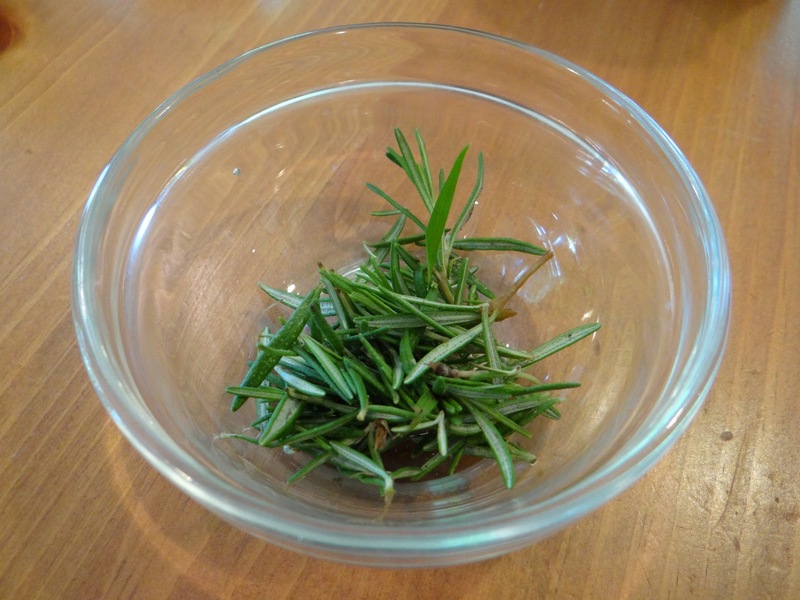 Fold a few more times to incorporate the rosemary. 6. Transfer to a clean, lightly-oiled bowl, cover with plastic wrap, and let rise for about 60-90 minutes until doubled in size. 7. Lightly flour your work surface. 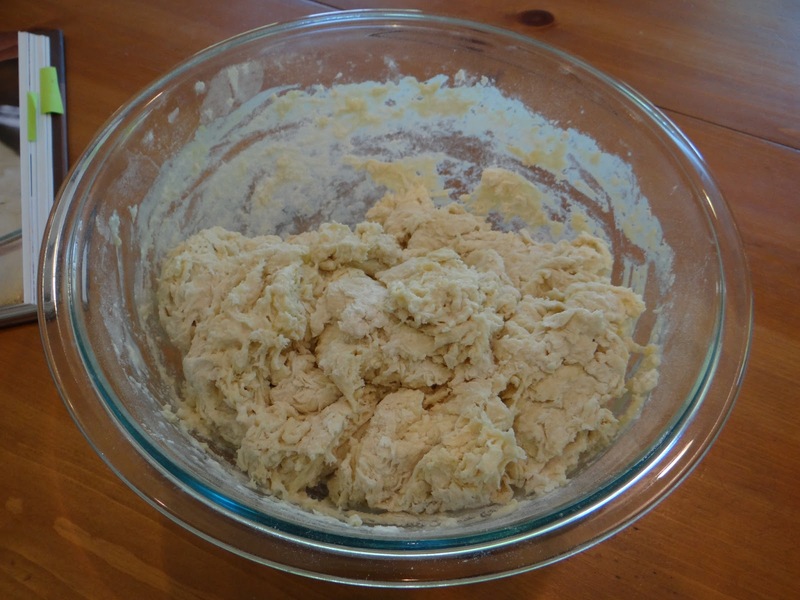 Take the dough out of the bowl, punch it down gently, and divide it into two loaves. 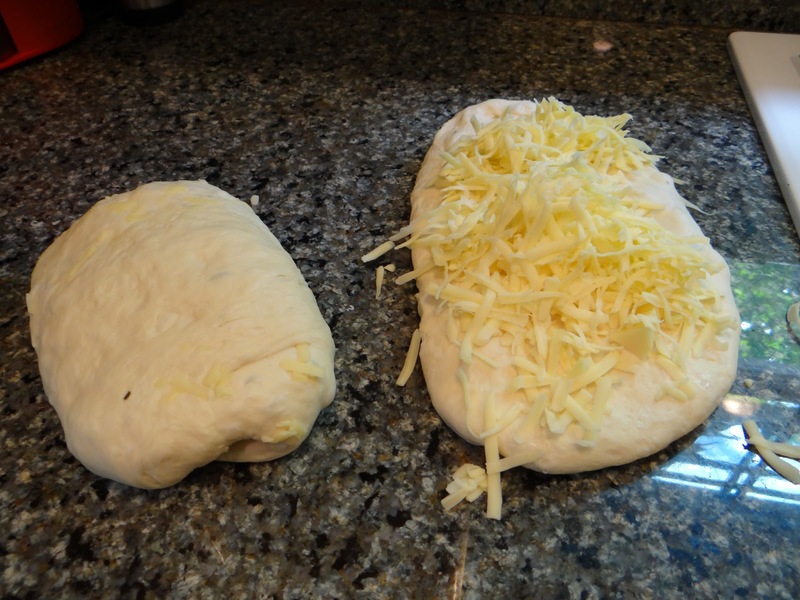 Flatten the loaves out with your hand, then spread half the grated cheese on top of each loaf. 8. 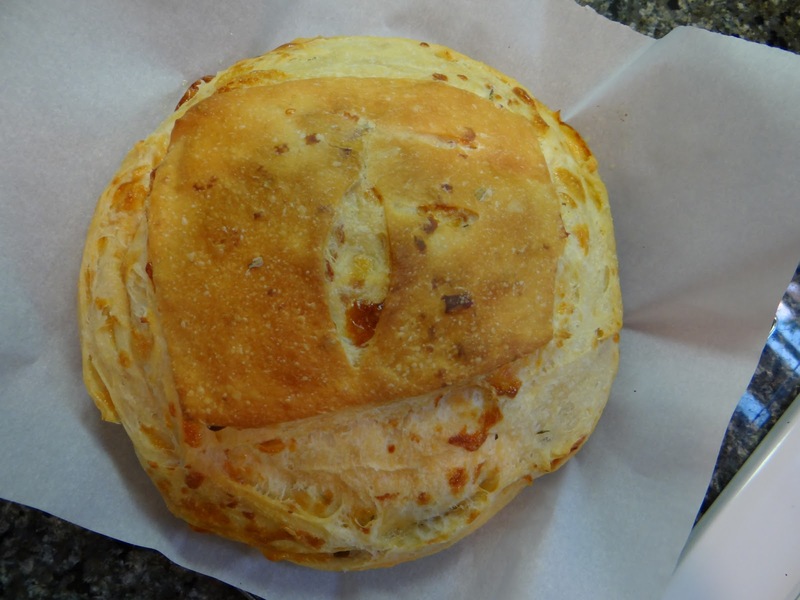 Peter Reinhart’s recipe just calls for you to roll up the loaf so the cheese is a spiral, but I wanted the cheese to be more evenly distributed so once I rolled it up, I folded it a couple of times, let it rest, then folded a couple more times. 9. Transfer the dough to a piece of parchment paper, cover with plastic wrap, and let it rest for another 60 minutes. Preheat the oven to 350 degrees F. When baking boules I like to bake them in the oven in the dutch oven so they puff up before the crust gets hard. 10. 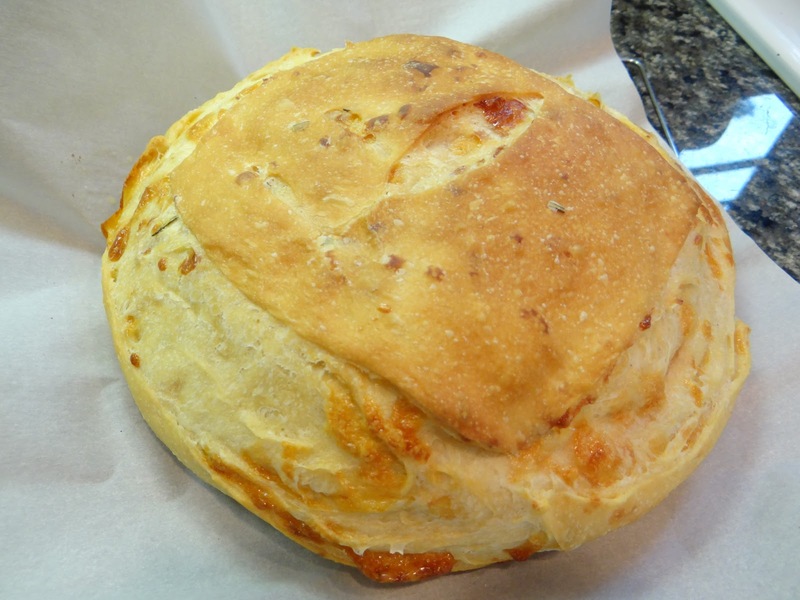 Once the oven is preheated, remove the plastic wrap, score the top of the loaf, and carefully place in the dutch oven. Cover with the lid and bake for 30 minutes. Remove the lid and bake another 15 minutes. This bread is freaking awesome. 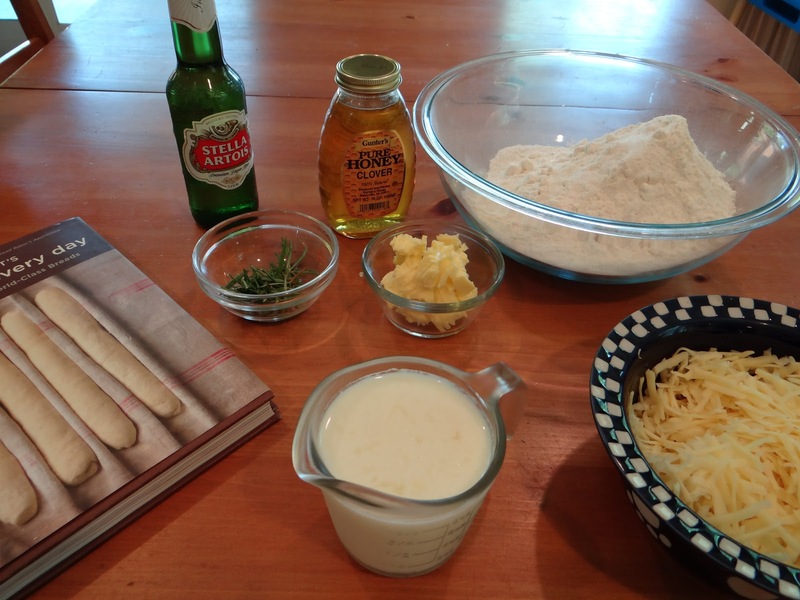 The buttermilk, beer and cheese give it an awesome tang that is irresistible. All the big tunnels are full of cheesy deliciousness.